Good evening to all my lovely readers! I hope your day has been much more awesome than mine. Our internet provider has had a lot of issues over the last month and today our internet was so unreliable and spotty. It’s been a frustrating day, in other words. But I finally was able to sit down and put together a post! I know I’ve been on a roll with Précision Nail Lacquer lately, well that’s what happens when you buy a whole bunch at a time from different collections. Today’s polishes are from their Glam Rock collection. Précision Nail Lacquer Very Important Polish, 3 thin coats, with A Girl Obsessed Magpie Shine topcoat. Really gorgeous polish, but the shimmer is practically lost on the nail. Précision Nail Lacquer The After After Party, 3 thin coats with AGO Magpie Shine topcoat. What a lovely midnight blue polish! 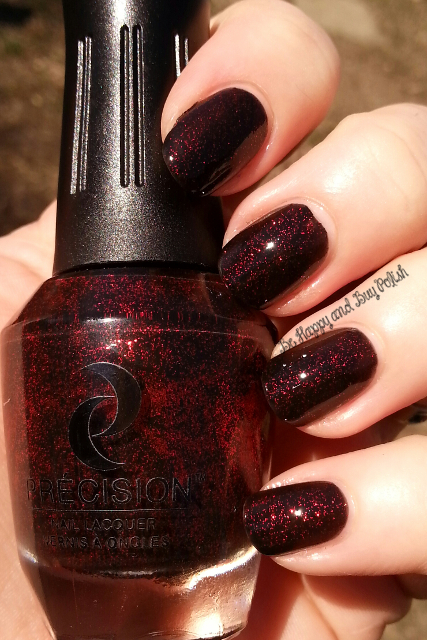 Précision Nail Lacquer Rebel Red in You, 2 thick coats with Beauty Secrets topcoat. 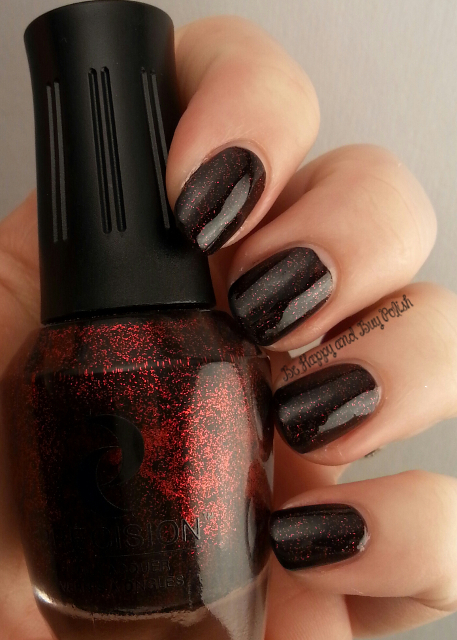 This has more dense red glitter than China Glaze Lubu Heels. There are three more polishes to the Glam Rock collection: Glam Metal, U Rock & I Roll, and Party Like a Rockstar. What do you think of the three polishes here? I’d love to know! I’ll be back in the morning! These colors would be perfect to wear for fall/winter!